Everything from private consultation to specialties all in one place. We provide personalised treatments in our Budapest private clinic without having to stand in line. Over 32 synchronized specialties with in-hous labwork. Everything in one place for your comfort and fastest recuperation in Budapest’s 2nd disctict. 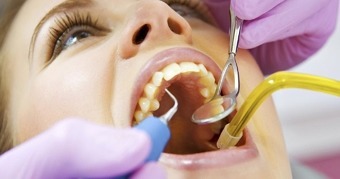 Peridontal disorder treatment – Aesthetic Dental replacement – Dental suspension treatments. We are amongst the few dental clinics in Budapest where with high quality peridontal treatment. Coronary disease? Hipertonia? Heart attack? 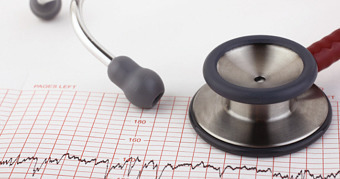 Cardiological examination, risk and cardiovascular system assessment. We provide fast and precise cardiological diagnosis, ECG, heart ultrasound, excercise ECG in our cardiological clinic in Budapest’s 2nd district. 10-20% discount off of the prices of all Medve Medical Health Centre professionals. Our highly trained professionals ensure fast and effective recuperation. 32 kinds of specialty treatments with in-house labwork all in one place for your comfort and fastest recuperation all in the heart of Budapest 2nd district. Fast diagnosis, treatment and prescription for fast recovery. Are you suffering from cardiovascular disease? Cardiac screening, risk factor and vascular status assessment. Rapid and accurate diagnosis of cardiac ECG, echocardiography, exercise ECG without having to wait in line! Periodontal disease treatment, creating aesthetic and tooth-friendly bridges and crowns, implant dentures, removable dentures, tooth restoration, teeth whitening all with the latest dental technology. Our Private practice consultations provide high quality services without any waiting time in tastefully furnished and well equipped clinics. The private consult is completely tailored to the patient’s needs. Medve Medical Health Center for your fast recovery! In our Medve Medical Health Centre you can choose from 32 different kinds of specialties and our exams are performed with state-of-the-art equiment. Our professionals work for are well-known and respected institutions as doctors and assitants, are highly trained and have several years of experience. Our doctors base the client diagnosis using extreme thoroughness and attention. The patient does not have to wait for hours, or to take a leave of absence from work to get medical attention: they arrive for the given appointment thus the frustrating time spent standing in line is replaced by effective specialized care. Our patients are diagnosed quickly and if needed receive the required treatment, care or prescription.